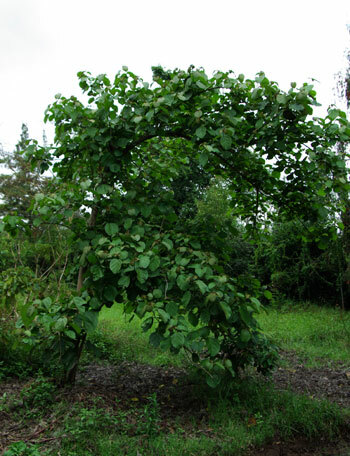 (Drumstick Tree) Fast-growing decidous tree native to northwestern India and cultivated throughout the tropics and subtropics. 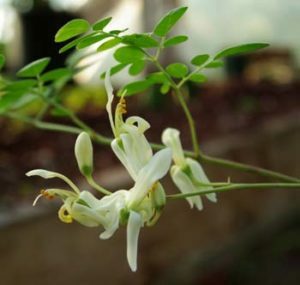 Moringa will grow outdoors in the US Zone 9 and warmer. Otherwise, protect from frost. Known as the “Drumstick Tree” in India, the immature seedpods are eaten as a standard foodstuff, tasting rather like asparagus and quite easily digested as well as being very tasty. 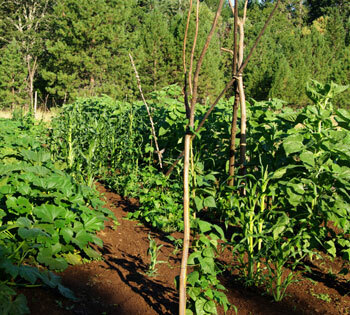 Beyond asparagus, virtually every part of the tree is useful in food and medicine. 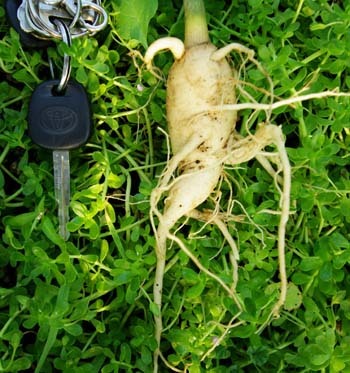 The roots are ground up and used as a condiment. Traditional usage (Siddha): sexual dysfunction, antiinflammatory, analgesic. 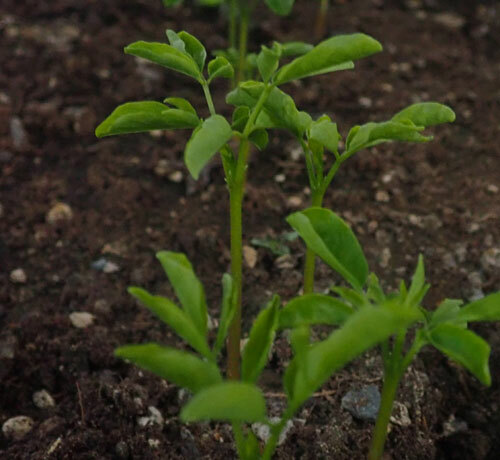 The crushed seeds can be used as a phytoremediating filter for purifying water. The branches are used as fodder. 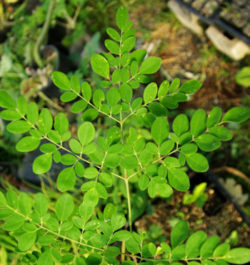 The leaves are full of vitamin C, A, calcium, iron, potassium and protein. They are a good anti-famine food. Tree prefers full sun and dry to mesic soils. The tree grows very well in containerized culture, but requires sufficient root space, so large containers work best. Fill the container with equal parts organic compost, sand and pumice. The tree enjoys regular watering but must never be allowed to sit in water. Always give fast-draining soil, whether planting outdoors or in pots. 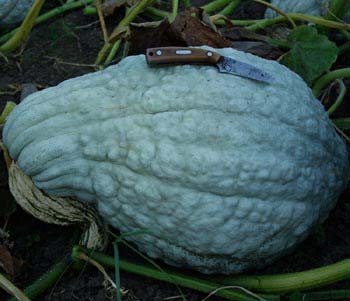 Seeds are quite large. 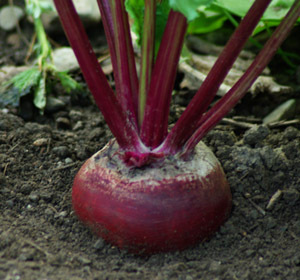 Sow the seeds in a pot of sandy potting soil, about 1/2 inch deep, and keep barely moist, very warm and in the light. 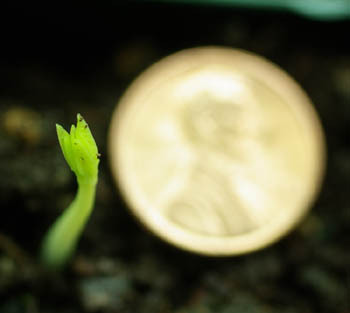 Germination occurs in 1 to 2 weeks. 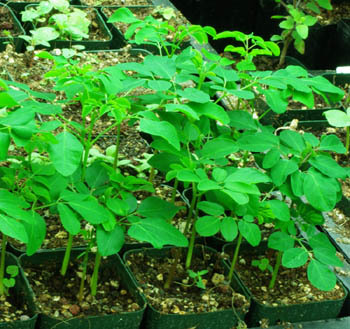 Work seedlings up in pots before transplanting to large containers or the landscape. 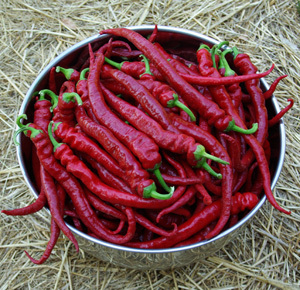 I bought these thinking they would be a great treat for my Chickens, and Turkeys. They love them (along with Comphrey). I currently have them indoors, and they are doing fine. I throw the leaves in salads, stir fry, and in sandwiches. I plan on keeping this plant small. Love it!